What is the tire width recommended for this wheel from an 850 Turbo? 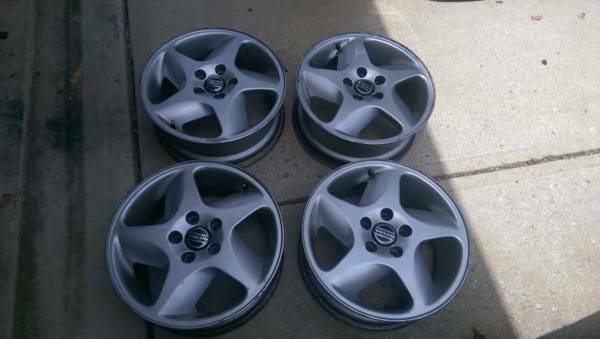 I'm upgrading from my heavily worn steel wheels and these are cheap. What tire would you recommend? If they are 16"x6.5" like the newer Perfos, the factory tire size is 225/55R16, I believe. Those should work quite well. OEMs should be 16 x 6.5 with a 43 ET (offset) stamp. Factory tire for the 850 Turbos with the Columba's was 205/50-16 (the standard Cetus 15 inch rims came with 195/60-15s). You can also go with a 215/50-16 if they are easier to find. Running rich... Injector pulse width? / MAF signals? Maximum wheel width and diameter? Width and Offset for Wheels on a 2000 V70XC AWD? Quick Reply: What is the tire width recommended for this wheel from an 850 Turbo?